MOSCOW — Now's the time to repair strained U.S.-Russian ties, according to the Kremlin. That's the message senior Russian officials sent Monday after special counsel Robert Mueller reported that he found no evidence that the Trump campaign or anyone associated with it had conspired with the Kremlin to influence the 2016 presidential election. "So Mueller's long-awaited report proved what was known in Russia from the very beginning," said Konstantin Kosachev, a Russian senator. "With enough goodwill, a lot can be fixed," he added, referring to Russia's relationship with the U.S. Although the Mueller probe found no proof of Russian collusion with the Trump campaign, it did conclude that Russia interfered in the 2016 election. Earlier assessments by U.S. intelligence agencies have found that Moscow engaged in a campaign of email hacking and online propaganda aimed at sowing discord. This interference, plus Russia's involvement in Syria and Ukraine and the poisoning of a former Russian spy in the U.K., have led to a worsening of relations between the two countries and Russia being squeezed by multiple rounds of sanctions. As recently as this month, the U.S., Canada and the E.U. imposed new sanctions on Russia in response to Russia's attack on and seizure of three Ukrainian ships off the coast of Crimea last fall. Also on Monday, Kremlin spokesperson Dmitry Peskov stuck to the Kremlin's longstanding line that it did not meddle in the 2016 U.S. election. 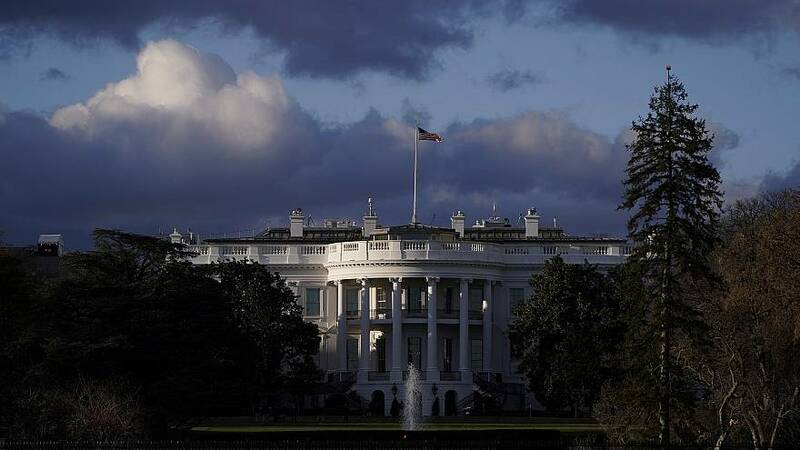 "Even the brief information specified in the summary has no basis," he said in a conference call with reporters, referring to the Mueller report. "It is difficult to find a black cat in a dark room, especially if it is not there," Peskov said, paraphrasing Confucius. Peskov added that it would be possible to improve ties, reiterating that President Vladimir Putin had repeatedly stated that Russia is interested in good relations with the U.S.
"In this case, the ball is absolutely in their court. It was given to Trump in Helsinki," Peskov added, referring to thesummit between Putin and Trump in the Finnish capital in July 2018. Before his election, Trump advocated for improving relations with Russia. After he took office, he remained open to a dialogue with Russia and meeting with Putin. Sen. Lindsey Graham, R-S.C.,an important Trump ally, welcomed the findings of the Mueller report but did not let Russia off the hook. "Great job by Mr. Mueller and his team to thoroughly examine all things Russia," he said in a tweet. "Now it is time to move on, govern the country, and get ready to combat Russia and other foreign actors ahead of 2020." Attorney General Bill Barr's summary of the Mueller report suggests that the first Russian effort at interference in the 2016 election involved attempts by a Russian organization, the Internet Research Agency (IRA), usually referred as a "troll farm," to conduct disinformation and social media operations in the U.S. "designed to sow social discord, eventually with the aim of interfering with the election." Mueller also brought criminal charges against a number of Russian military officers for "conspiring to hack into computers in the U.S. for the purposes of influencing the election." In December, the Treasury Department imposed new sanctions on 15 members of a Russian military intelligence service for their involvement in a wide range of "malign activity," among them attempting to interfere in the 2016 U.S. election and efforts to undermine international organizations through cyber-enabled means. Political experts also weren't optimistic that the probe's findings would help mend the U.S.-Russia relationship. "That theMueller investigation does not support allegations of Trump-Kremlin collusion won't lead to Russia becoming less toxic in U.S.," tweeted Dmitri Trenin, director of the Carnegie Moscow Center, a think tank that focuses on Russia's domestic and foreign policy. Russian authorities and news agencies have reacted similarly to Trump, focusing on Mueller's main finding that there was no collusion between the president and the Kremlin, said Emily Ferris, a Russia research fellow at the Royal United Services Institute, a think tank in London. Ferris said the official Russian narrative throughout the Mueller inquiry has been that it is part of a "Russophobic" conspiracy created by the U.S. to undermine the Russian government. But ultimately, Ferris said the results of the inquiry thus far are unlikely to change how Russia is perceived internationally. "In the U.S., concerns about Russian influence has been one of the few issues that unites Democrats and Republicans, and the Mueller inquiry has already indicted those in Russia it deemed responsible for direct interference in the elections," she said. "Given that most of the report has not been made publicly available, it is safe to say that the inquiry will continue to hang over U.S.-Russia relations and prevent them from any deeper political engagement." Elena Holodny reported from Moscow, and Yuliya Talmazan from London.